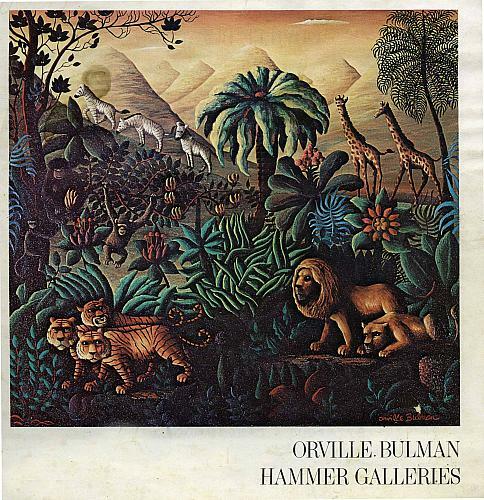 This painting in the style of French painter, Henri Rousseau, shows a stylized jungle scene with lions, tigers, giraffes, chimpanzees, lemurs, and zebras. The lush foliage is similar to that in the area around Bulman's Manalapan House. Orville Bulman and Hammer Galleries, sponsor of the exhibit, are printed at the bottom right. Painting on a catalog cover.